The Big Game is coming up! Get ready with the Big Game Census. Check out our new interactive data visualization. Get ready with the Big Game Census. Our new interactive data visualization might help you decide who to cheer for. 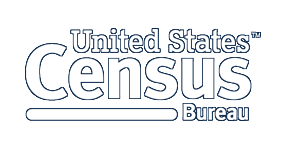 Learn more about where each player is from, what college they attended, and more fun facts based on Census Bureau data. Start exploring the state or hometown of your favorite player by clicking the button below. California leads the way with 17 players. Florida's the runner up followed by Texas. How many players are from your state? The smallest hometown is Magnolia, Delaware with less than 300 people. The largest is Los Angeles, California with almost 4 million people. This data visualization is best viewed on a laptop or desktop computer. For a mobile, phone-friendly version, please click here.